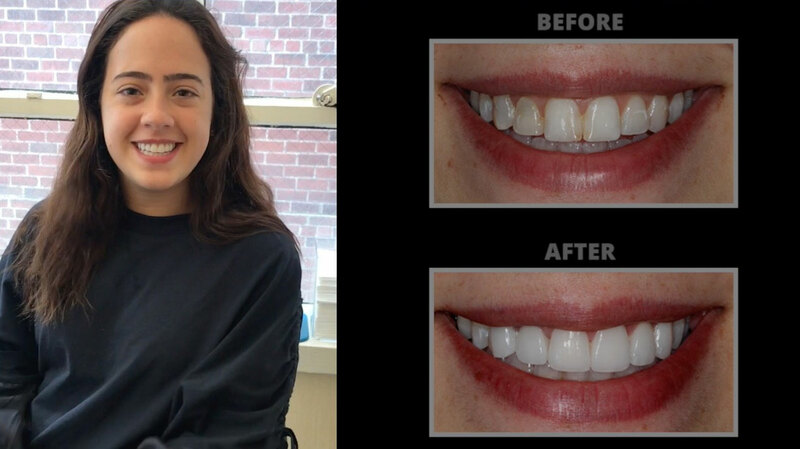 Our featured patient, Nicole, was initially very dissatisfied with the appearance of her teeth and wanted to transform her smile before her wedding. 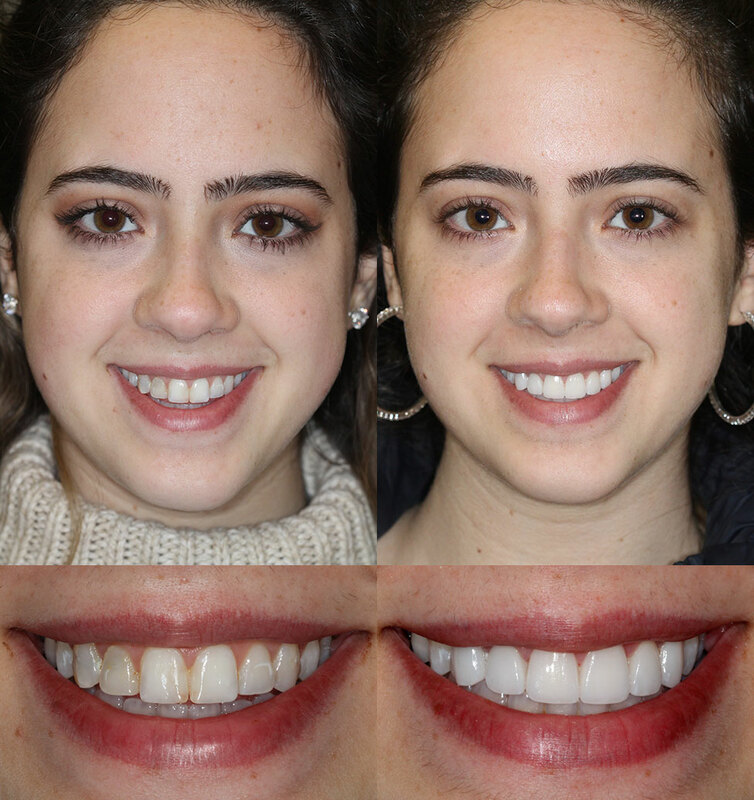 During her consultation with Manhattan cosmetic dentist Michael Kosdon, DDS, Nicole focused her concern on the discoloration caused by old fillings and root canals, along with misalignment of her teeth. Her goals were to achieve a natural-looking white smile that balances harmoniously with her other facial features. Using six high-quality, custom-layered eMax® porcelain veneers, Dr. Kosdon was able to effectively conceal multiple imperfections in Nicole’s smile for a beautiful smile makeover. When the permanent veneers were placed and she saw her finished smile, Nicole felt a surge of renewed confidence. She is thrilled with the natural look of her teeth and is excited to add four additional veneers in the future to complete her smile transformation.